Happy anniversary! Reese Witherspoon and her husband, Jim Toth, celebrated five years of marriage on Saturday, March 26 — and the Oscar-winning actress shared a photo from the sweet day on her Instagram account! 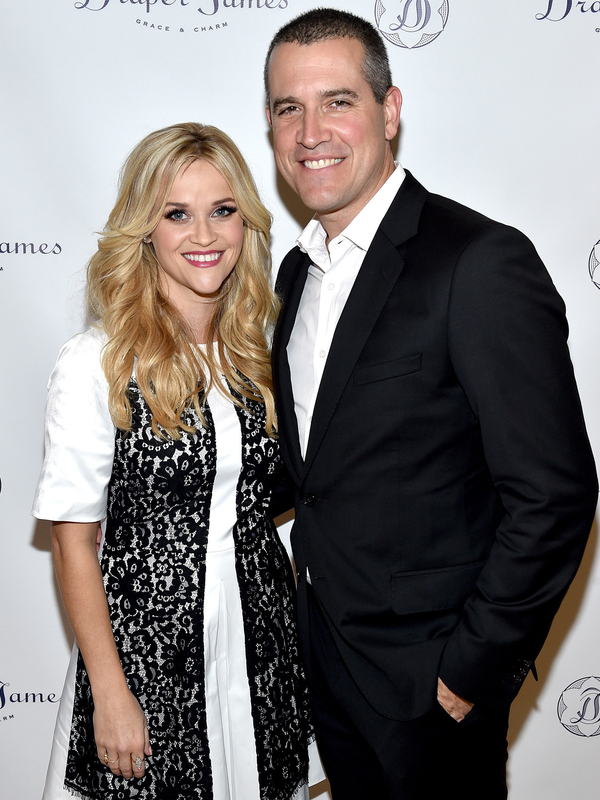 PHOTOS: Reese and Jim's Whirlwind Romance! Witherspoon, 40, posted a black-and-white shot of her and Toth, 45, sitting beside one another on a couch with her hand on top of his. The Wild star looks gorgeous in a long-sleeve black mesh dress, while her hubby wears an all-black outfit. The happy couple tied the knot in March 2011 at her 6-acre ranch in Ojai, California, just one year after meeting at a mutual friend’s party. Last year, the Legally Blonde actress commemorated their fourth anniversary on Instagram with an adorable throwback photo. The pair are parents to 3-year-old son Tennessee. Witherspoon was previously married to Ryan Phillippe — father of her daughter Ava, 16, and son Deacon, 12 — from 1999 to 2007.